Simplifying health care and treating our members like family is a top priority and that’s why we’re opening three physical centers in Raleigh, Charlotte, and Boone. Walk-ins are welcome at all of our center locations. But, to save you time, schedule an appointment here. Our friendly Blue Cross and Blue Shield of North Carolina (Blue Cross NC) staff can help you take the guesswork out of health care and provide personal attention to answer the questions that matter most to you. We are actively working to address all aspects of health and health care in the communities we serve across North Carolina. We know that health care today is simply too expensive. According to the Health Care Cost Institute, consumers are using less health care, but they’re still paying more. Our service agents and consultants will help you understand available health insurance subsidies, potential Blue benefits, and savings. We want to arm you with more resources to make the best decisions for your health and for your family’s well-being. NHL Stanley Cup champion and Head Coach of the Carolina Hurricanes, Rod Brind’Amour. 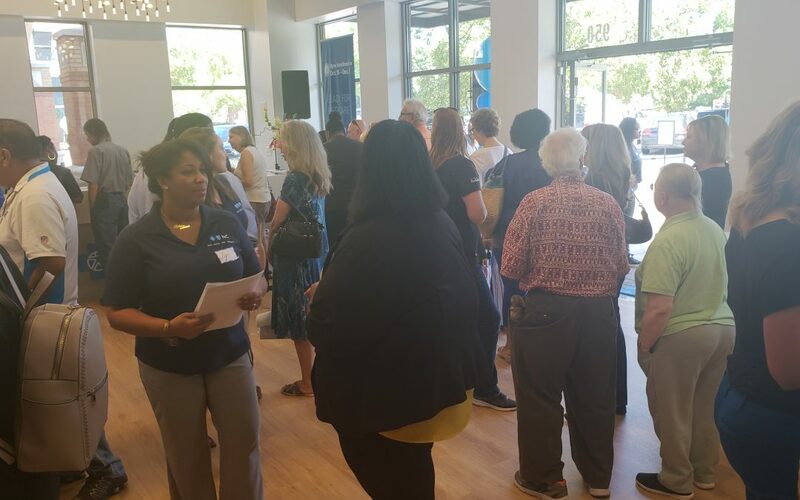 Our grand opening celebrations in Charlotte on October, 2 and in Raleigh on October 6, 2018, provide opportunities to see all of the features these state-of-the-art Blue Cross NC centers have to offer. There will be family-friendly fun that is free and open to the public. Come and enjoy fitness classes, health demos, massages, flu shots and so much more. 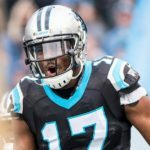 In Charlotte, Carolina Panthers wide receiver, Devin Funchess will be signing autographs from 5 p.m. – 6 p.m. on Tuesday, October 2. 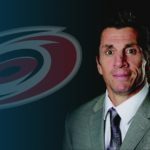 In Raleigh, on October 6, fans can meet former Hurricanes captain, NHL Stanley Cup champion and current head coach of the Carolina Hurricanes, Rod Brind’Amour and get an autograph. Come for fun, and stay for the health insurance education and so much more! You can learn how to use your health insurance plan and what benefits your plan covers. Walk-ins are welcome, but making an appointment is your best option for fast service with our knowledgeable on-site customer service professionals. This year, Affordable Healthcare Act (ACA) open-enrollment runs from Thursday, November 1, 2018, to Saturday, December 15, 2018. Blue Cross NC Centers staff can help you understand subsidies and plans you qualify for. Blue Cross NC wants to make it easier for you to manage your health or your health plan. Our new Blue Cross NC centers are your one-stop place for all questions regarding your health insurance plan. Charlotte, Raleigh and Boone residents can stop by for yoga, Zumba, or other group fitness and wellness classes to keep you moving. Each center will host unique events that will empower, energize and inform. Follow us on social media (@Blue Cross) to find events for your entire family. Each center can help you fight chronic diseases, lose weight, or just live a healthier lifestyle with help from our on-site nutritionist. The Blue Cross NC centers are a community hub. They are a place to gather and to collaborate. We encourage nonprofits in each region to use our shared flex space to hold their volunteer and/or board meetings. 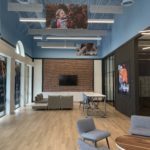 These spaces provide innovative technology that will allow organizations to worry less about equipment and focus more on their mission to improve the communities they serve. Call your nearest center location to reserve a meeting room. We know health care can be complicated; we are dedicated to being a resource to our customers. We can’t wait for you to stop in!